Being outdoors means a new adventure every day–even when the weather turns mean. The Mens Zenon Softshell Jacket from Jack Wolfskin is with you all the way. This softshell jacket is incredible practical. It shields you from the wind, stretches as you move and is built to cope with harsh treatment. The jacket has a no-frills, stripped down design. 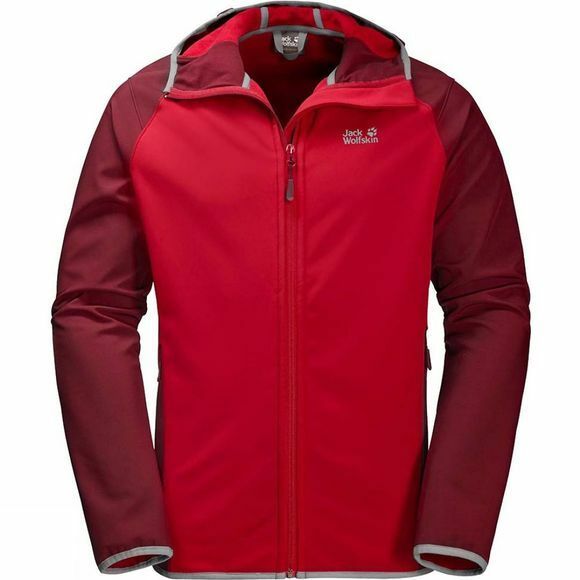 The robust fabric is windproof and shrugs off light showers. And the fabric is so stretchy that the jacket always fits comfortably, whatever you're doing in it. It is simple, basic softshell that gets the job done.